The Chief of Staff needs to be someone who knows everyone, is well organized, has good judgment, and can help make sure that there is no internal bureaucratic resistance. Reince is a solid choice. Chief of Staff is a grueling job that is physically and mentally taxing. Stephen K. Bannon, news man, CEO, and film maker, is named as senior adviser. Bannon is another good choice. In the interests of full disclosure yours truly has met Bannon and he is a guy that is easy to like. Bannon is smart and creative and has a passion for what “America” is. Bannon truly gets the culture and the media, but most importantly Bannon understands and is in touch with the grass roots better than most anyone. 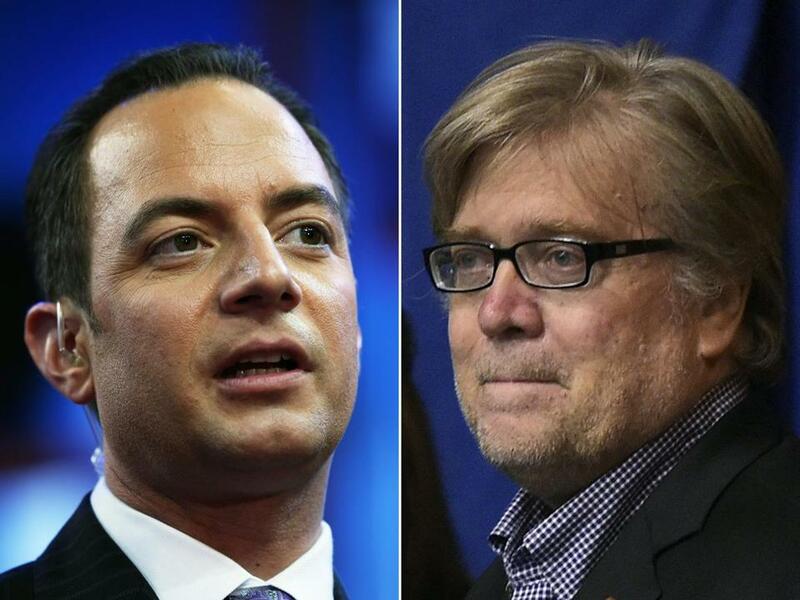 If one considers Reince to be the insider, Stephen is the outsider with his ear to the ground. This writer is very encouraged by these two choices. This entry was posted in 2016, Editorial, True Talking Points, Trump, Uncategorized. Bookmark the permalink.